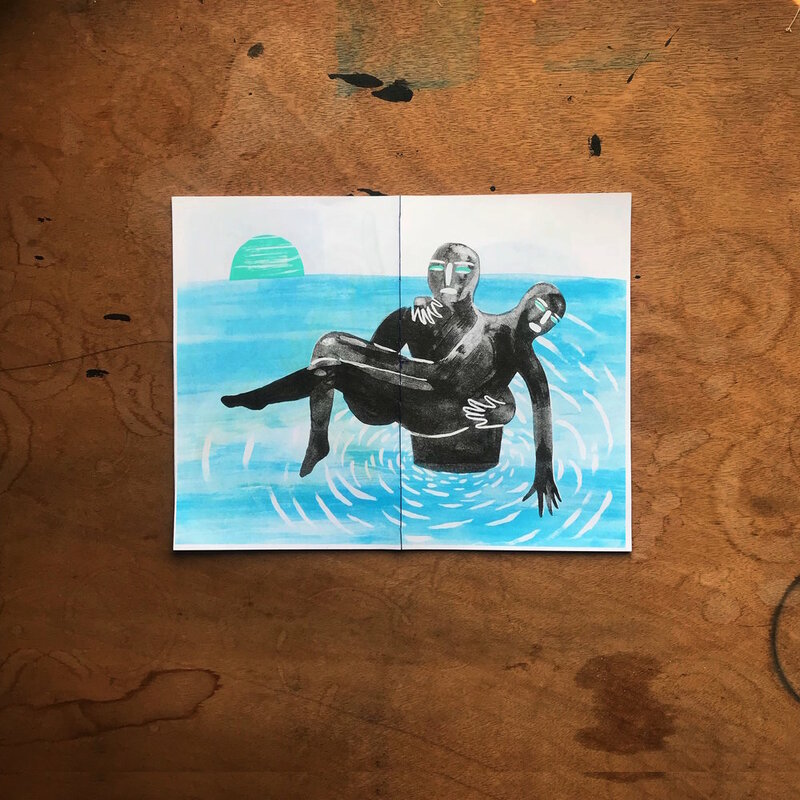 h20, 2018, 5.5" x 8.5". 24 pages, text and illustration. 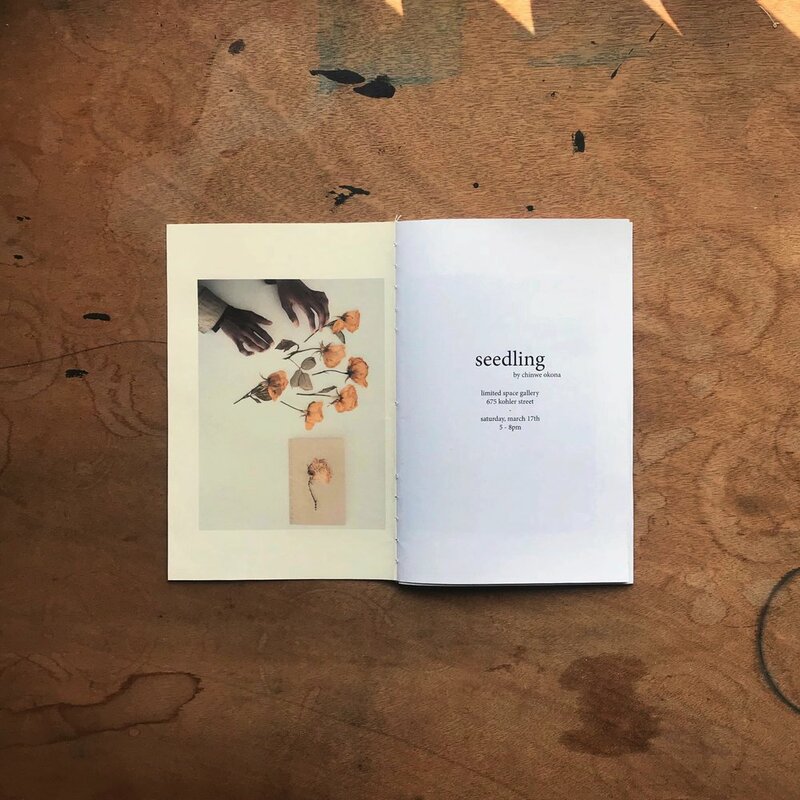 hand bound with saddle stitching, printed on risograph. 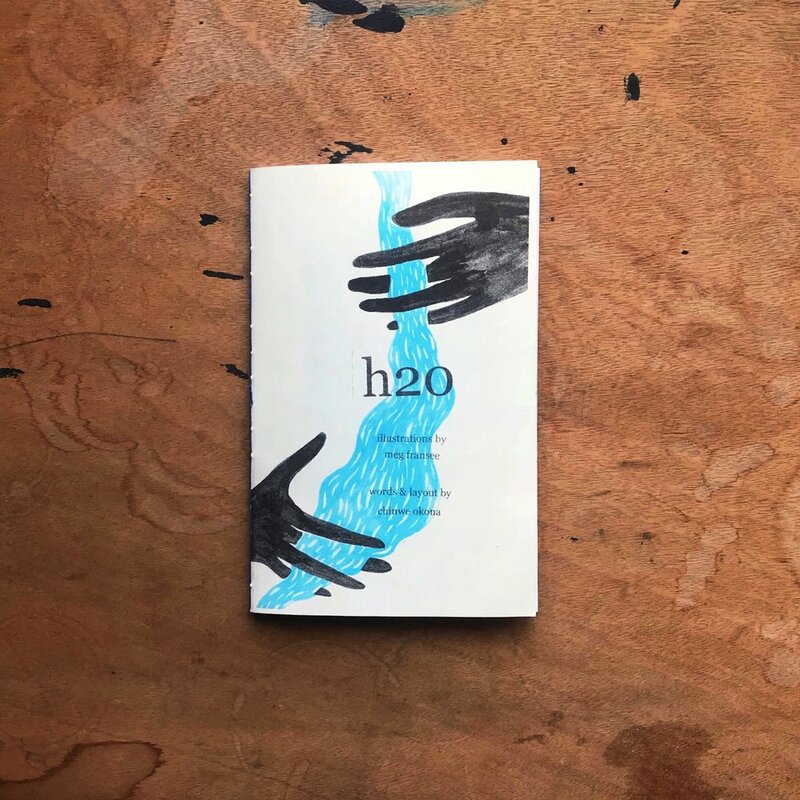 edition of 30.
h20 is a zine inspired by the ways in which water has historically been used as weapon against people of color. 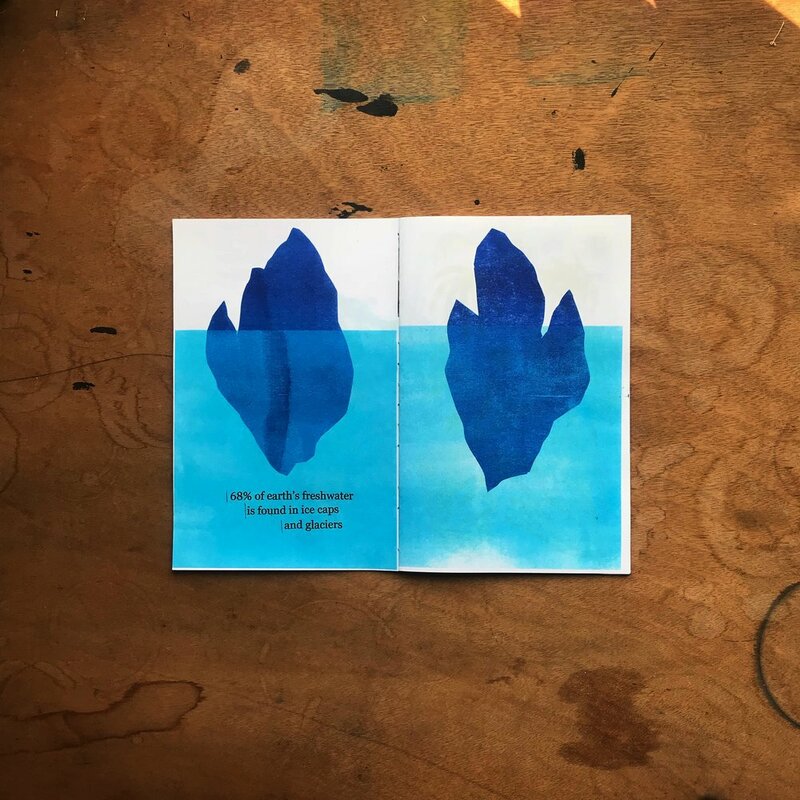 illustrations by meg fransee, printed by floss editions. 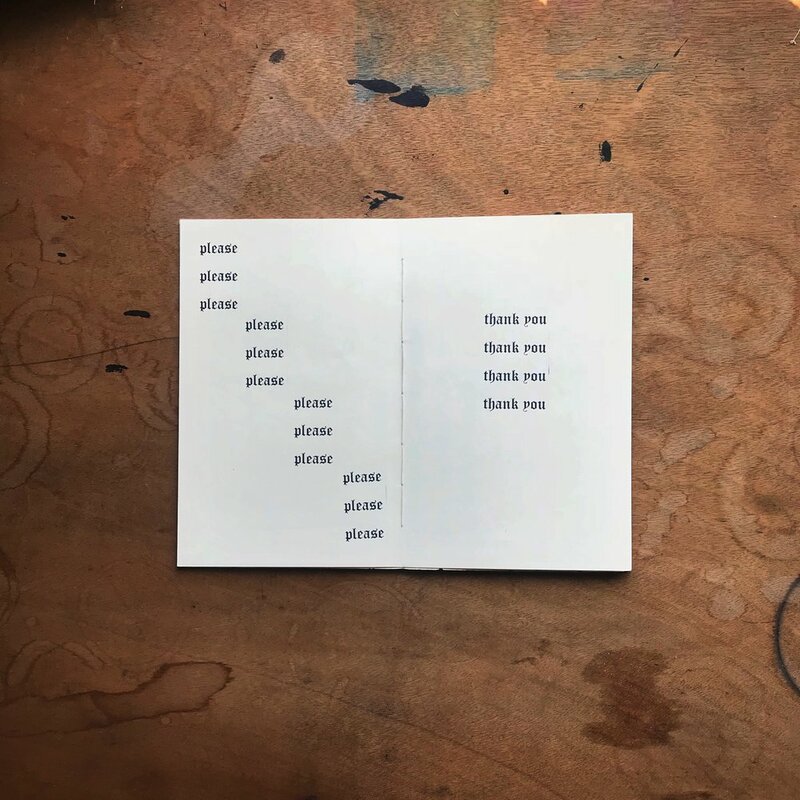 seedling, 2018, 5.5" x 8.5". 40 pages, photography. hand bound with saddle stitching. color, printed on 32# text stock. 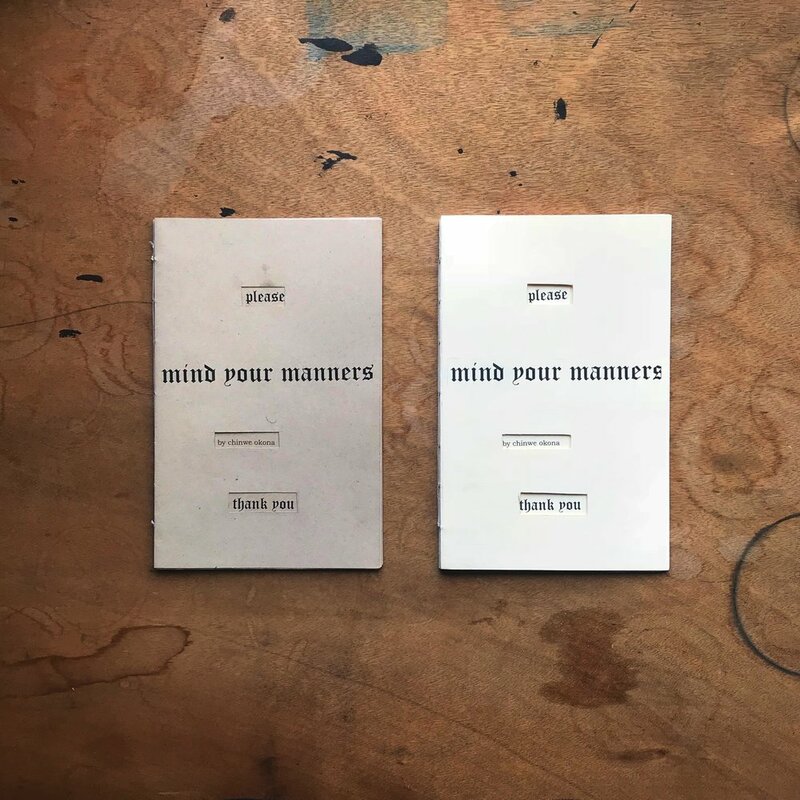 seedling is a zine chronicling the seedling exhibition, march 17th - 31st, 2018.
mind your manners, 2017, 5.5" x 8.5". 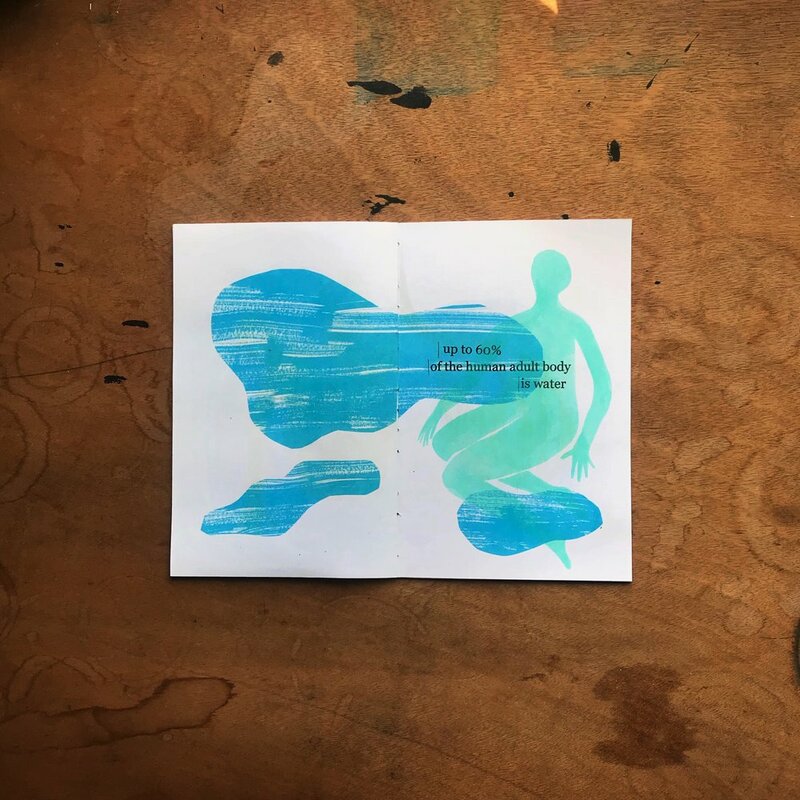 18 pages, abstract thoughts on grace and forgiveness. hand bound with kettle stitch binding and bits of Corelli's violin sonatas. 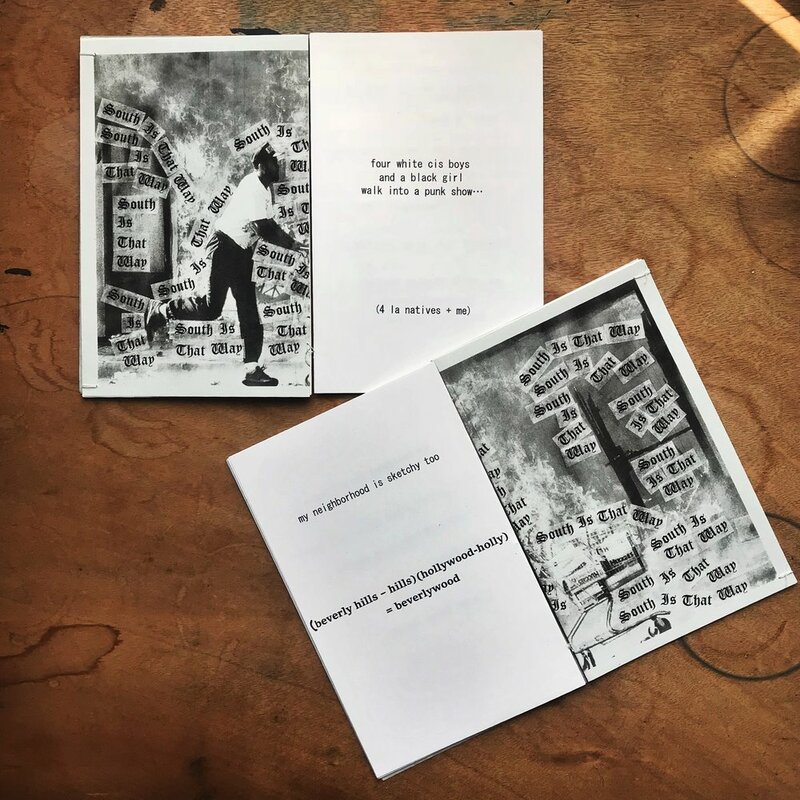 black and white, printed on 32# text stock. 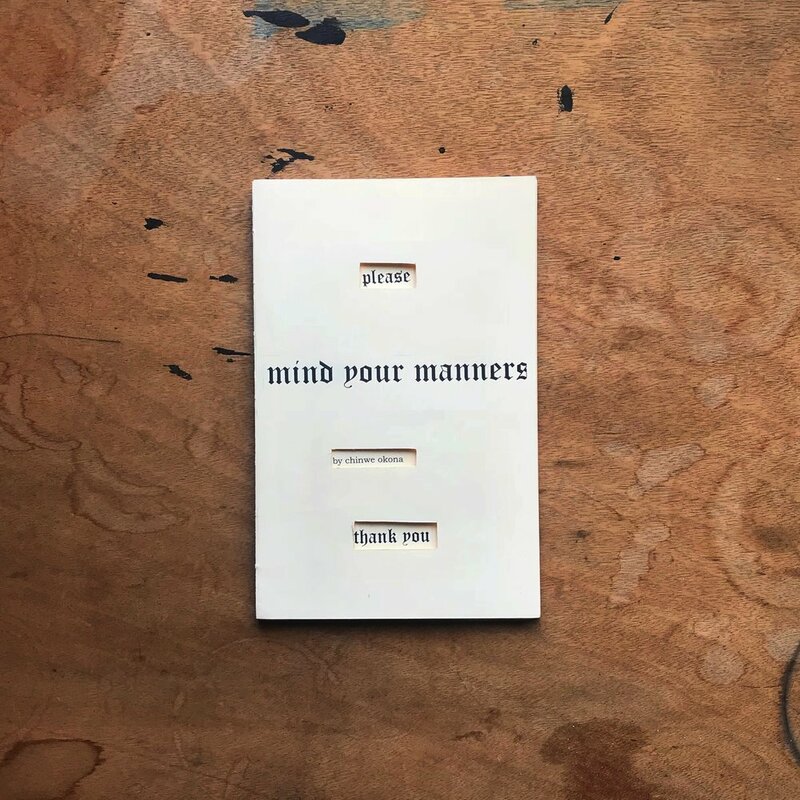 mind your manners is a zine of abstract thoughts on grace and forgiveness. south of the ten, 2016, 5.5" x 8.5". 38 pages, satirical nonfiction. hand bound with coptic stitching. 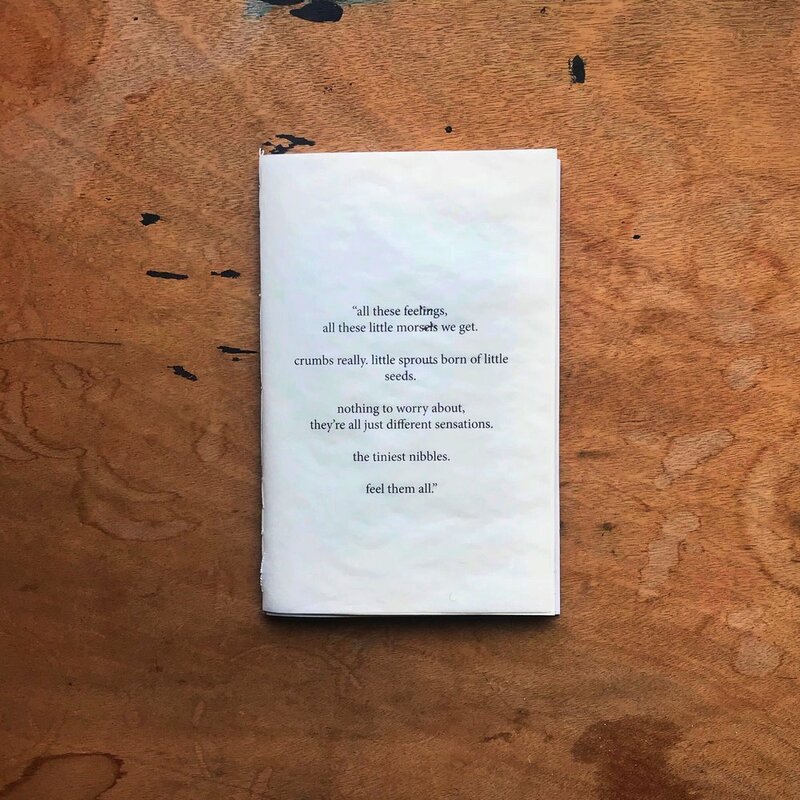 black and white, printed on 32# text stock. 2nd edition features a map centerfold. 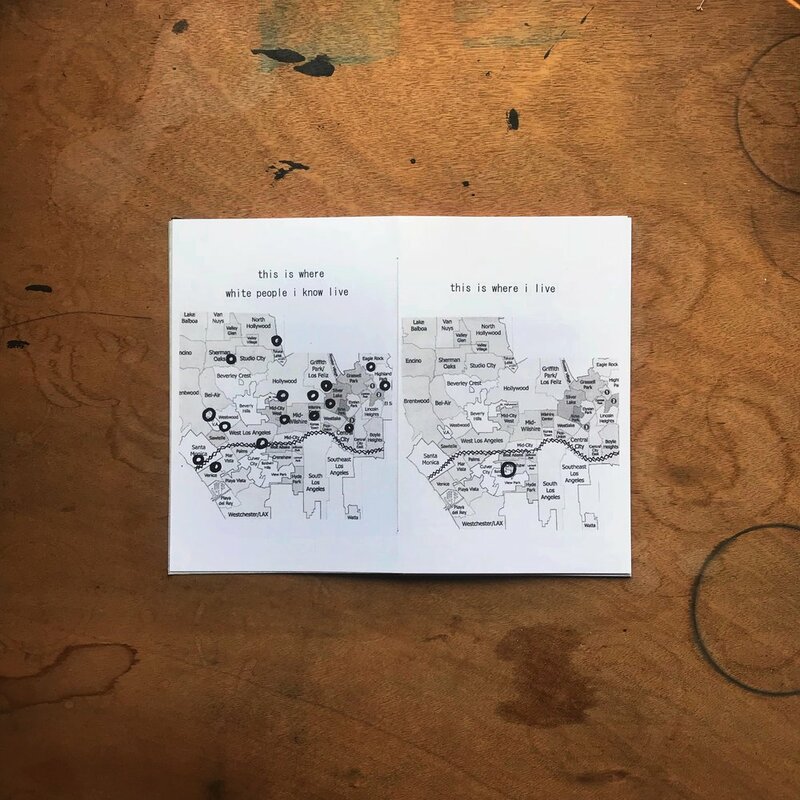 south of the ten: what white people don't know about the geography of los angeles is a satirical, nonfiction zine based on my personal observations of racial segregation in los angeles.